Syntactic theory is central to the study of language. This innovative book introduces the ideas which underlie most approaches to syntax and shows how they have been developed within two broad frameworks: principles and parameters theory and phrase structure grammar. While other texts either concentrate on one theory or treat them as totally separate, here both approaches are introduced together, highlighting the similarities as well as the differences. 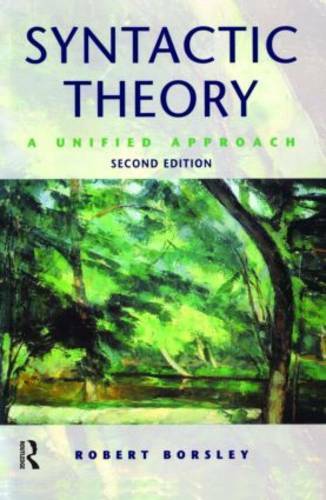 Thoroughly updated in the light of major recent developments, this second edition includes expanded explanations of the main characteristics of the two theories, summaries of the main features, exercises reinforcing key points and suggestions for further investigation. Borsley has given us a new kind of book: one that combines the best features of other introductory texts on syntax with serious discussion of alternatives to transformational grammar. Maybe we can at last hope for a generation of linguists trained to live in the real world of many theories.